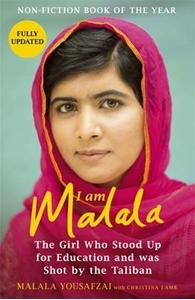 In 2009 Malala Yousafzai began writing a blog on BBC Urdu about life in the Swat Valley as the Taliban gained control, at times banning girls from attending school. When her identity was discovered, Malala began to appear in both Pakistani and international media, advocating the freedom to pursue education for all. In October 2011, gunmen boarded Malala's school bus and shot her in the face, a bullet passing through her head and into her shoulder. Remarkably, Malala survived the shooting. At a very young age, Malala Yousafzai has become a worldwide symbol of courage and hope. Her shooting has sparked a wave of solidarity across Pakistan, not to mention globally, for the right to education, freedom from terror and female emancipation.